Benchmark was founded 11 years ago by childhood friends Louisa Harrison-Walker and Amy Tingle. Louisa worked at Office Angels for five years, where she was in the top 10 performing consultants for three years in a row, and Consultant of the Year in her final year, while Amy specialised in HR and Management. Like many of us, they took the start-up leap, giving up their salaries and re-mortgaging their homes in order to set up a recruitment agency that focused on people rather than placements. 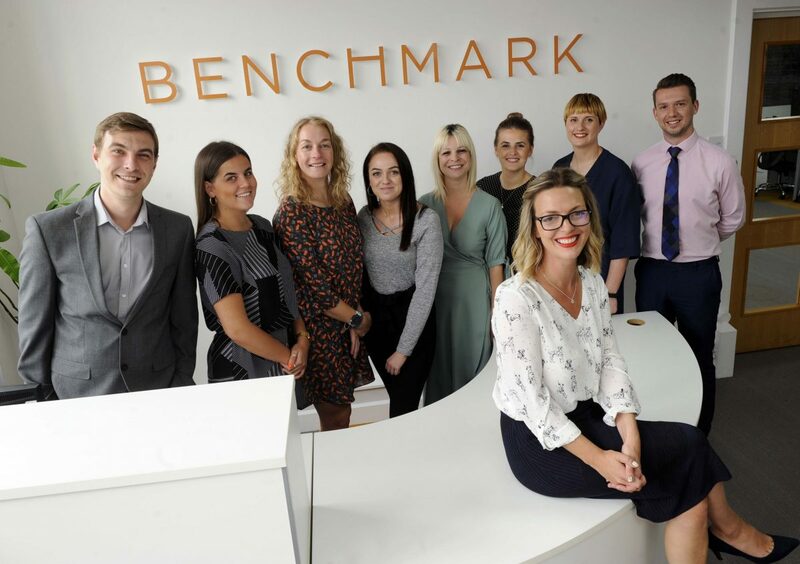 Benchmark works extensively with digital businesses in Sheffield to attract and retain the best talent within Sheffield City Region. The business also operates at grassroots level to develop future talent; for the second year running Benchmark has sponsored Sheffield City Council’s Code>Make>Win awards, encouraging the young digital talent of Sheffield to be creative. In addition, Benchmark invests back into the digital community by hosting Code Clubs, providing guidance at Sheffield Hallam University and the UTC, and facilitating the CDI Café (an event focused on the employee lifecycle in Creative, Digital and IT businesses). The company was recently commissioned to carry out research for the Sheffield City Region Combined Authority looking into ‘Hard to Fill Vacancies and Skills Shortages’; this has given them extensive knowledge around the issues the digital industry faces in recruiting specific skill sets. The research highlighted the need to develop talent within the city and attract people from outside the region. “Ethical recruitment is focused on investing in relationships and supporting the local economy through local initiatives and community projects. Benchmark seeks to take responsibility in our role and utilise our voice in the business community by addressing issues such as skills shortages and education provision. What does Benchmark do that’s different? What do you think are the biggest challenges for digital companies in Sheffield at the moment? “For emerging digital companies, a significant barrier to growth and scale is both attracting and nurturing people with the right skills and attitude. Given that digital companies typically have a small nucleus of highly-talented founders, and early hires tend to be drawn from the existing network of friends and family, the next step of finding skilled workers that can apply their experience to the particular demands of the business can be difficult. Often, the nature of the work of digital companies, along with the fact that senior people within the business are heavily involved in the delivery of work, means that organisations can face a real challenge in investing the time, effort, and money required to develop employees and increase their output or quality of work.